Create Your Own Subscriptions Available Now! Now that the 2015-16 season has been announced, the next step is to curate a season ticket package that fits your own taste, schedule and budget. The best way to do so is with a Create Your Own Subscription! 4. discounts on many shows, including broadway! With this year's season being filled with a wide variety of shows, such as Pippin and Mamma Mia! 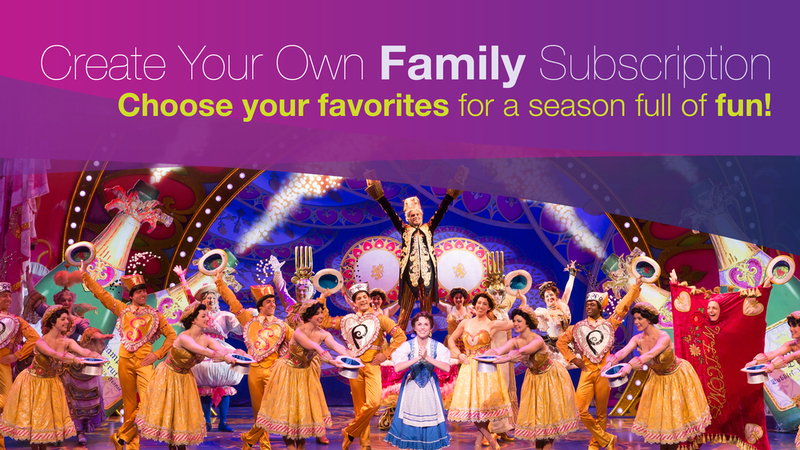 in the Broadway series, as well as family-fun shows like Rudolph the Red-Nosed Reindeer in the Holiday series , there are plenty of options when creating a season package! Click here for a full list of the 2015-16 season shows. order online or call 479.443.5600!